New Blog Location! Please follow me there. I have switched over to Wordpress where my Rebel & Mercury blog is now hosted. So, you can find both blogs there now. My new Blog location is HERE . Thank you for following me on Blogspot and hope to see you over there. I blogged about some exciting news. OK, so this past 4 weeks has been, well, interesting. I ended up in the hospital suffering 2 strokes from a severely torn artery. I came very close to not making it…..scary stuff. I have been in serious healing mode the last month and figuring out what I can and cannot do. I have had to slow myself way down (very, very hard for me as I am a multi-tasking queen) and tell myself that I cannot do everything all the time. My hope is that I can parlay this thinking into creativity and, most importantly, calmness. I have still been pouring a few candles here and there, but haven’t been back to the blending of my lovely perfumes. I hope to get back to that next week after a short vacation to the Oregon Coast. I am feeling much better. Just the anesthesia alone kicked my behind! Thanks for the words of support and love. Will be back to some more blogging soon. I have some new perfumes to list as well on my Rebel & Mercury Etsy shop. I get asked a lot about whether I make massage candles. You know, the ones that you can take the melted candle wax and rub it into your skin. After being asked this many times, I wanted to share my take on this product with you and it's safety. 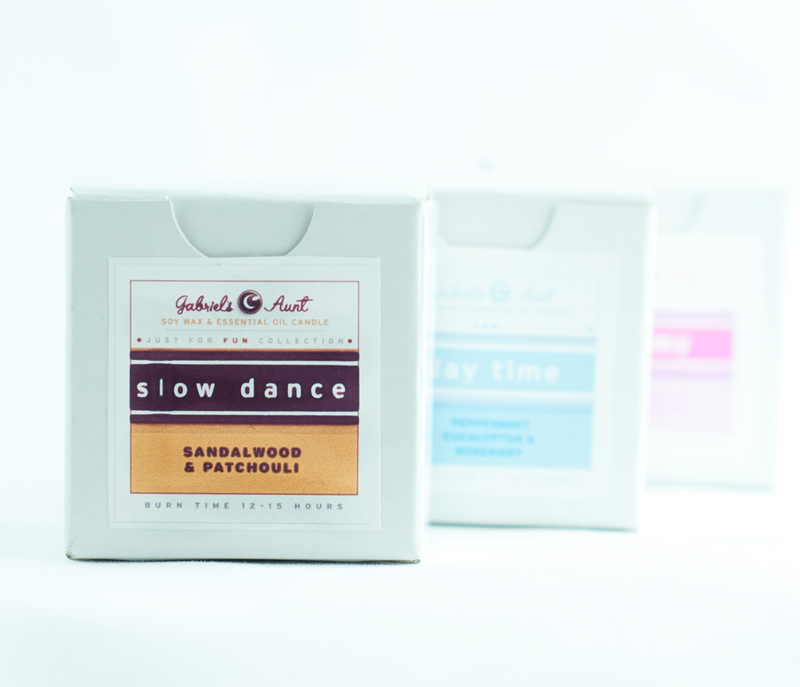 Soy wax, even the best out there which I currently use, is heavily processed and can be hormonally disruptive. To get the bean from it's original form to an edible or topical-use form is a long process. Hexane is widely used to pull oils out of plant-based materials and that substance, itself, is toxic. Hexane is used in 98% of the soy wax producer's processes. For this reason alone I do not use it on my skin. My soy wax is some of the cleanest you will find and I chose it for that reason. 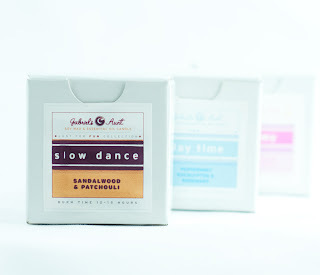 Until soy wax becomes readily available in Organic Certified formats, it will be difficult to find a better one than this. Using it in small doses here and there is ok, but it is not the best for your skin. When I create my candles, the Essential Oil blends I use are fairly high. Low enough to respect the oil's flashpoint, but high enough to get a strong-smelling candle. That concentration is far too high to use on the skin. You cannot have a strong-smelling candle and a skin-safe blend at the same time. The concentrations are very different. The use of high concentrations of EO's and FO's on the skin, make it difficult for your liver to handle. I have to admit, I have burned myself one too many times pouring my candles, testing them, and spilling a lit one on my hands. While soy wax burns much cooler (which is why it burns so much longer than Paraffin wax), it is still hot wax. I do not recommend dipping your finger in wax that has just melted. It is generally too hot for the skin even if it isn't "burning you". You skin is very resilient, but it responds best to mildly warm temperatures. There are many great products on the market that are created for this. Generally, balms are the best if you want to heat something up before putting on your skin. Products made from Coconut Oil, Shea Butter, Cocoa butter, beeswax are best for this. They withstand the higher temperatures well (though not too hot is important to keep in mind). You can create a really healthy massage lotion with a combination of Virgin Coconut Oil and Cocoa Butter. You can then add a few drops of Lavender Essential Oil or Rose to make it more fragrant. There are also high quality fragrance oils you can purchase that would work as well. Here is a link to my go-to site for making my own beauty products. You will find all sorts of great balm and lotion recipes there. To sum it up, keep the candles for ambience and keeping your home fragrant. You will do your body a favor. Goodbye to the GA Essence Botanical Perfume Line! Hi all! Just a reminder, that if you want to try any of my GA Essence perfumes, now is the time. Most are on sale and will be no longer in a couple of weeks. I will be keeping most of my current line under the new name, but most of getting revamped (with the exception of the most popular blends I don't want to mess with!). So, check out my sale section on Etsy and grab these blends at a discounted rate. Hello, yes, I am still here! Just wanted to let you guys know that I am still here and creating beautiful, lovely smelling things. In the next few weeks you will get a sneak preview of the new perfume line. All GA Essence perfumes will be sold under a new name and get a complete revamp! Perfumes will be available in Perfume Oils as you have come to expect from me and 2 new formats: Pure Parfum and EDP. All the candles will remain at Gabriel's Aunt's website and Etsy shop, but look for a new store front for the perfumes. One or 2 of the current perfumes I sell under GA Essence will be retired and some new ones will be there too. So, don't panic! Look for the big announcement coming next week with perfumes ready by end of the month. Thanks for following and see you soon! Wow, a month has gone by since my last post. Whew! I have been a busy gal. I wanted to share some new product info with you as they will be out very soon. First, "Corbieres" perfume will be ready to sell by end of next week. This blend is my tribute to the beautiful notes of the wines that come from Corbieres (an appellation in the Languedoc region of France). The grapes grown here are known for their hints of Currant, Cocoa and various spices. I have blended 3 types of Ginger, Cardamom, Saffron, Black Currant and Cocoa for a rich, complex, fruity and spicy perfume. I love how it reminds me of a full-bodied, slightly sweet red wine. I am also finishing the newest candle in the Just For Fun line called "Biscotti". This is a really fun blend that has generous amounts of Almond, Ginger, Vanilla and topped of with some sparkling Lemon. Another great Summer candle and just sweet enough to satisfy those dessert lovers. As my cream perfume solids are becoming more and more popular, I am expanding that line to include a gorgeous Tuberose solid. This Tuberose is an intensely sweet single note perfume that will wear perfectly alone or layered with other natural perfumes. As with my other blends, the raw beeswax adds a lovely depth and honey note. The old votives are almost gone and the labels for the 2 ounce tins are in the works. I am excited for the new size as there is less packaging involved and less to throw away! They will be super portable and refillable. So, mid-Summer is packed with new goodies. Stay tuned for them coming in the next 2 weeks! After feedback from customers over the past year, I have decided to discontinue my 1.5 ounce votives (seen above) for more practical 2 ounce travel tins. While the votives have been a good seller for me, I think you will enjoy being able to just light these candles and go. You won't have to search for a holder that fits or worry about an uneven burn. The tins will be a bit bigger in volume as well so you will get more candle! I will be phasing out the votives in the next month and introducing the tins at the end of the summer. If you are interested in buying the remaining votives I have a nice discount, then email me at info@gabrielsaunt.com or leave a comment here. I have 50 or so votives in stock in various scents. I am excited to make this improvement and think you will love the new size option! Owner, Gabriel's Aunt a company based out of the Seattle, WA. I specialize in candles and perfumes made with 100% natural elements that are highly scented, unique and fun. Feel free to visit my store!